This is the 8th Annual Rincon International Film Festival, "the largest and most celebrated film festival in Puerto Rico!" 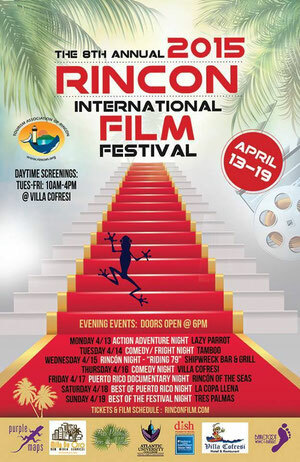 There are daytime and evening screening throughout Rincon venues, indoors and outdoors with special "themed" nights such as Comedy or Documentary, culminating in the "Best of the Festival" night April 19th. The mission as described on their website: "To support and promote culture and the arts in Puerto Rico through the medium of film. The festival seeks to inspire student, future and current filmmakers in the art of filmmaking, and to enhance the movie viewing experience in Puerto Rico through creative, unique and entertaining events. With special award categories for Puerto Rican filmmakers and Spanish Language films as well as International and American Films. Rincón Puerto Rico is also a Surfer's paradise, so the festival also screens great surfing films.. "
Click here to see this years program of screenings. To purchase tickets, daytime passes and full access passes, click here. 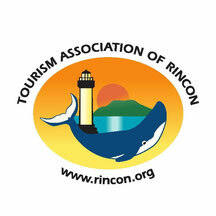 The Tourism Association of Rincon is a proud sponsor of the Rincon International Film Festival and is able to support this and other activities in Rincon through our membership fees. Your support of Tourism Association members will help keep this and other unique Rincon Events going each year!